This is the exact quality of our heavy weights except is is 3/4” per side, and not as dense, making this 1 1/2” thick. 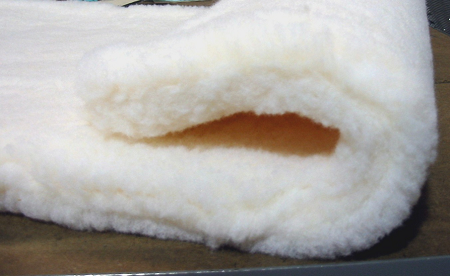 This double fleece has been the choice of boarding kennels and show kennels alike. They are very plush without being extremely thick. They have nothing inside so they’re easy to wash, clorox, and dry. You’ll love their versatility and their durability. Our same 9 sizes are available. 13" x 18", 15" x 20", 18" x 24", 20" x 30", 24" x 36", 26" x 42" 28" x 48", 30" x 40", 36" x 50"